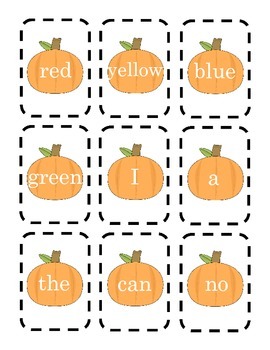 This file includes 8 pages of sight words to play as a matching game. 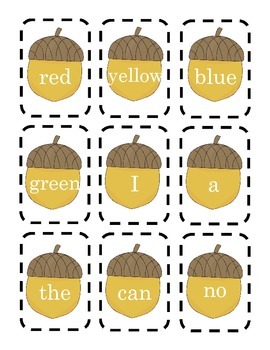 There are 4 pages of pumpkins, and 4 pages of acorns, with matching words. You can play this as a memory game, use them as flashcards, or make it an I have who has game to play as a whole group. I hope you enjoy! Happy Fall!